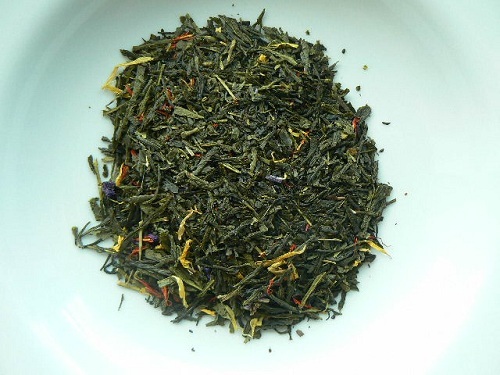 Mango and passion fruit flavor this pan-fired green tea from China. Tropical flowers add the island feel. An extremely flavorful green tea for those who drink green tea for the health benefits, but are not accustomed to the vegetal taste. This fits the bill!